When I was not too much younger, I made the same half-hearted New Year’s resolution for several years running: “No more Mister Nice Guy.” Certain friends balked at the expression, not sure they wanted to see one of my few favorable qualities evaporate. They always got their wish, as the resolution typically died about January 3. I have to say I didn’t know quite what I was looking for until I forged my way through a new book recently. 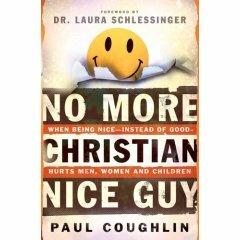 Packed with potent medicine for the timid male of faith, Paul Coughlin’s No More Christian Nice Guy is a refreshing read. Certain passages will taste a little bitter going down, but there are some good reasons to follow his prescription. At the core of Coughlin’s book rests the argument that contemporary American church culture has pushed the pendulum too far from a proper balance and mutual appreciation of gender roles. Whereas women were once belittled and underappreciated for some of their feminine virtues, today men’s natural masculine energy has been confined and subdued in suffocating boundaries of politeness and formality. Some men go along to get along. Many others lose interest and drift away from the church community and a more vital Christian life. Few are willing to take a stand. But that’s where Coughlin steps in, urging his brothers in Christ to confront sin more aggressively and to take a stand for the rights of their families, while not laying themselves down as a well-used doormat. The author admonishes single men to be more assertive in the courting or dating process and married men to be more assertive in their sacred sexual relationships. He tells all men to stand up for themselves on the job. 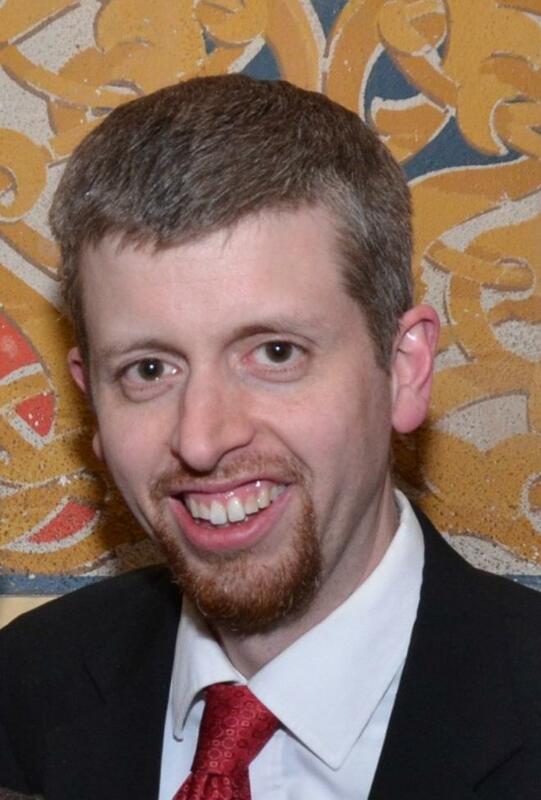 In short, Coughlin seeks to encourage the development of more Christian Good Guys and fewer Christian Nice Guys. I have to admit that I did not find all the earlier parts of the book to be as agreeable as the more practical subsequent chapters. I believe, that in trying to recapture a more biblically balanced view of Jesus, the author overstates his case. While it was refreshing to see Coughlin demolish the popular portrayals of our Savior as a sedate mystic more milquetoast than masculine, the idea that Christ cursed and complained like one of the guys strikes me as genuinely irreverent and misleading. Because He walked on earth as God Incarnate certainly did not mean Jesus played the part of the always polite pacifist. Though He lived with powerful passion and Divine purpose, Christ in His Deity contained the perfect capacity to suppress unholy and selfish passions. Nor did His humanity always characterize the essence of His behavior. Yet the book’s brighter qualities – often bright like a badly needed wake-up slap to the face – outshine its shortcomings. The author correctly points out that the Savior didn’t turn His cheek when evil was at work. Coughlin also makes the profound point that Christ most effectively was able to give up His rights for us on Calvary because He did so on His own terms. Why? Because He didn’t live His earthly existence as everyone’s doormat. A radio talk show host in the Pacific Northwest, the author describes himself as a “former Christian Nice Guy.” Coughlin frequently interjects into the text many of the shameful episodes of his own childhood at the hands of a spiteful, sometimes abusive mother. But he also offers insights into his recovery. His sharp-tongued rebukes of some Christian leaders, who he perceives to perpetuate a culture that belittles masculine expression, leave no room for doubt. But of course, Coughlin didn’t write a “nice” book. No More Christian Nice Guy gets painfully personal at times, and almost any adult male today with an inheritance in Christ’s kingdom would be honest to identify with some of the weaknesses targeted in its pages. After reading the book, this reviewer has observed more consciously the daily struggles of niceness versus goodness in my own life. Added to ongoing battles with selfishness, complacency, laziness, and self-deceit, I see plenty of room to grow into the man God would have me to be. Yet I also see the hope of a clearer way to being the best husband and father possible. As you turn the pages of No More Christian Nice Guy, at times you can almost feel Paul Coughlin putting his hand on your shoulder and looking you in the eye. He isn’t afraid to tell you what so many others have not. His courage and candor is penetrating, and the result – despite its flaws – is both laudable and compelling. If you are a man who is more nice than good, or if you are close to someone who fits that description, you will find this book to be both challenging and rewarding. It could provide some backbone to a seriously needed but oft-overlooked resolution. As always, special thanks to Stacy Harp at Mind & Media for making this review possible.